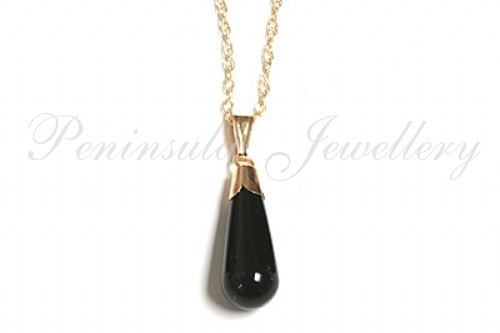 Featuring a polished black onyx teardrop suspended from 9ct gold fittings. Dimensions: 20mm drop, 6mm wide (maximum). Complete with 18" 9ct gold Prince of Wales chain. Made in England. Presented in a luxury gift box - great gift!